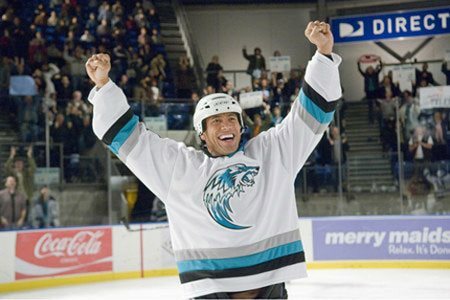 Dwayne Johnson stars as Derek Thompson, one of the toughest hockey players around -- until he's sentenced to one week's hard labor as the world's most unlikely tooth fairy! Even though he must sport frilly wings and learn the magical tricks of the trade from his silver-winged superiors (Julie Andrews and Billy Crystal), Derek's determined to do the job HIS way and prove he's got what it takes! Download Tooth Fairy in Digital HD from the iTunes store. 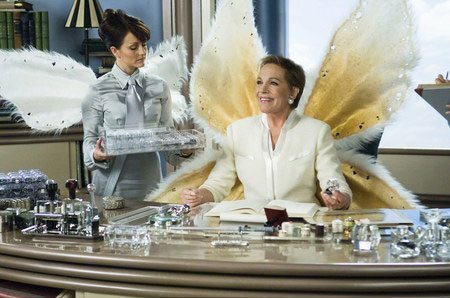 Tooth Fairy images are © 20th Century Fox. All Rights Reserved. 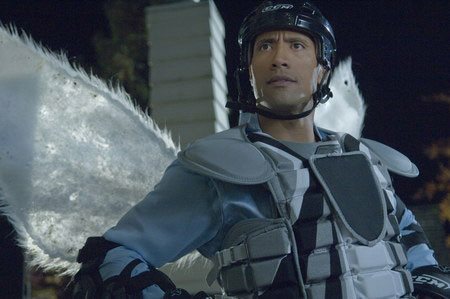 The former wrestlers, The Rock, now known as Dwayne "The Rock" Johnson, is back this year staring in the family comedy, The Tooth Fairy, by 20th Century Fox. Dwayne Johnson stars as Derek Thompson, one of the toughest hockey players around -- until he is sentenced to one week's hard labor as the world's most unlikely tooth fairy! Even though he must sport frilly wings and learn the magical tricks of the trade from his silver-winged superiors, Derek is determined to do the job his way and prove he has got what it takes! Dwyane Johnson's fall from wrestler to action hero, to children's film start, is an interesting one; and this film definitely falls at the bottom of his library. 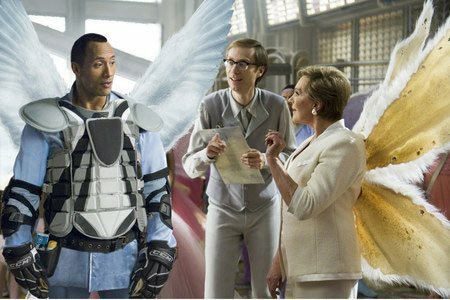 However, while the story is a bit contrived and simple, the amazing cast of Dwayne Johnson, Ashley Judd, Stephen Merchant, Billy Crystal , and the ever so elegant (even in wings) Julie Andrews, save the Tooth Fairy from becoming just another disaster in the family-film genre, such as the Funky Monkey -- and yes, there really is a film by that name. As with most recent DVD releases, the picture quality of the Tooth Fairy does not let one down. Present in amaphoric 16 x 9, the picture is pristine with very little to zero artifacting during the entire film. The audio is presented in Dolby Digital with great depth and clarity -- which is pretty amazing for a family film that makes you feel like you are actually at an arena while a hockey game is being played. Aside from the standard "making of" featurette on the DVD, the rest of the features are targeted specifically for the audiences this movie is intended for, children. The features include: "Train to be a Tooth Fairy" Interactive Feature and Fairy-oke. 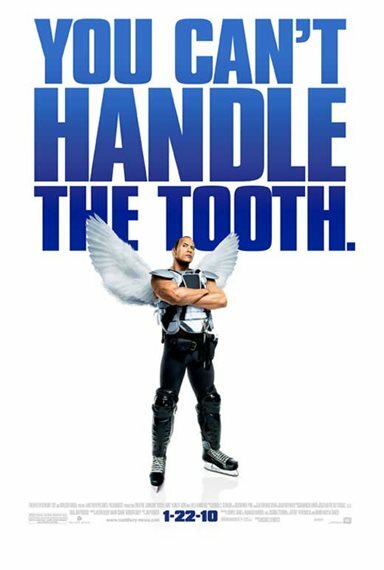 While the tooth fairy is a bit long in the teeth for adults, and I am one adult that hopes Dwayne Johnson goes back to making action films, it does make for the perfect movie night with your children who will be rolling with laughter at the antics. Tooth Fairy images © 20th Century Fox. All Rights Reserved.